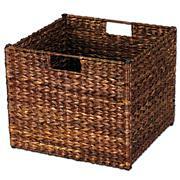 Perfect for the craft room or any other room of your home this over-the-door 3-tier basket storage unit is a must have. 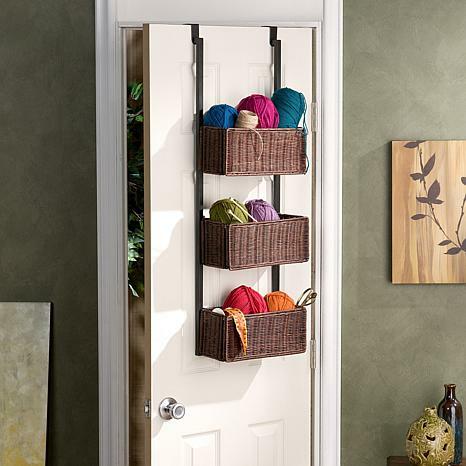 With 3 rattan woven basket this unit is the perfect way to organize your yarn or towels, and it conveniently fits over most doors. 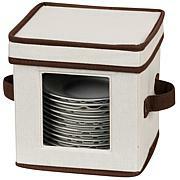 OMG are these basket storage pieces great. They are not too heavy to store on your door safely. Construction is sturdy and long-lasting. I have been asked by several people as to where I got them and I say "HSN, of course"Thanks for hitting the mark once again on HSN. Comfortable, and stylish. Will certainly enjoy wearing. Daughter moved into a studio apt and needed extra storage. This is good sized, looks good and works great! I love this! I was slightly nervous after reading a couple reviews, however, once it arrived and I spent all of 10 minutes putting it up, I am thrilled! It is absolutely perfect! 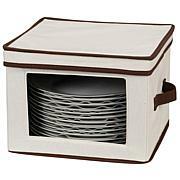 It has 3 wicker type baskets that hold plenty of items. I have a desk clutter problem with crafts and yarn etc...so this just hangs over my desk and catches extras that I just can't find another place for and keeps my desk tidy! I love it!! This was exactly what we needed. One for each of the kids. Keeps things off tables. MightyStor 2-piece Extra-Large Flat Vacuum Bag Set Take back your space. 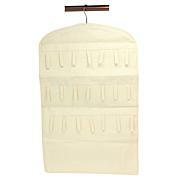 These MightStor vacuum bags let you store large bulky comforters, sweaters, pillows and more with ease. Place your items within the bags and then use your vacuum to remove the air to shrink and seal the bag to a compact size.